468 Henry Street Apt 3 , Brooklyn, NY 11231 | Sotheby's International Realty, Inc. 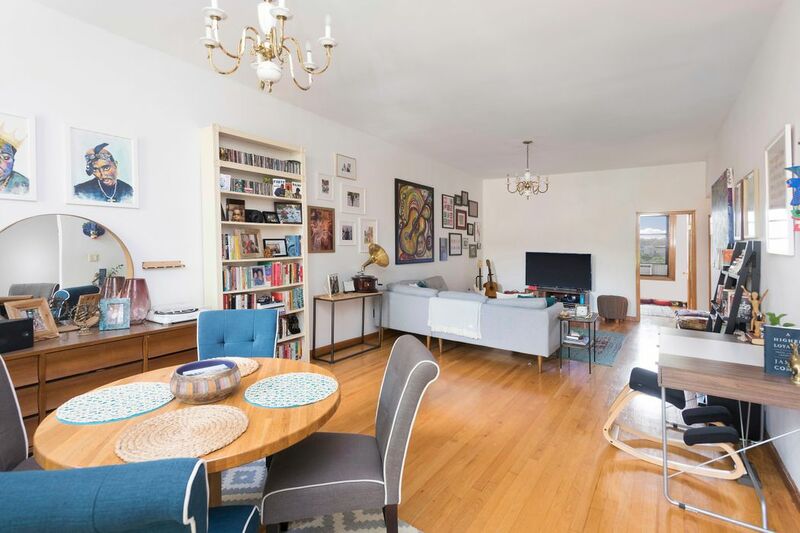 Located on a coveted block in the heart of Cobble Hill, this floor-through home is located in a beautiful brownstone on a quiet, tree-lined street. With hardwood flooring throughout, this 1-bedroom, 1-bath home boasts an open, loft-like layout. The kitchen includes a Bosch dishwasher, new oven/stovetop, new granite countertops, full-sized appliances, and an in-unit washer/dryer. The living area boasts high ceilings, two large windows, and more than enough space for a kitchen table, dining room table, living room furniture, and more. The bedroom comfortably fits a queen-sized bed and dresser and includes a closet and large, nearly floor-to-ceiling windows which flood the space in natural light. The full-sized bath offers a soaking tub and a beautiful stained glass window. 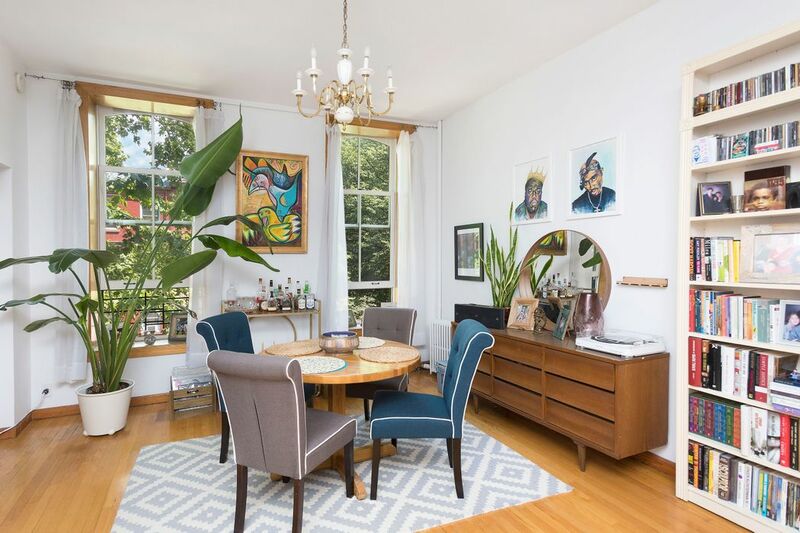 Located in prime, coveted Cobble Hill, 468 Henry Street is located in close proximity to the Smith Street shops and restaurants, F train at Carroll Street, and all that Cobble Hill has to offer. 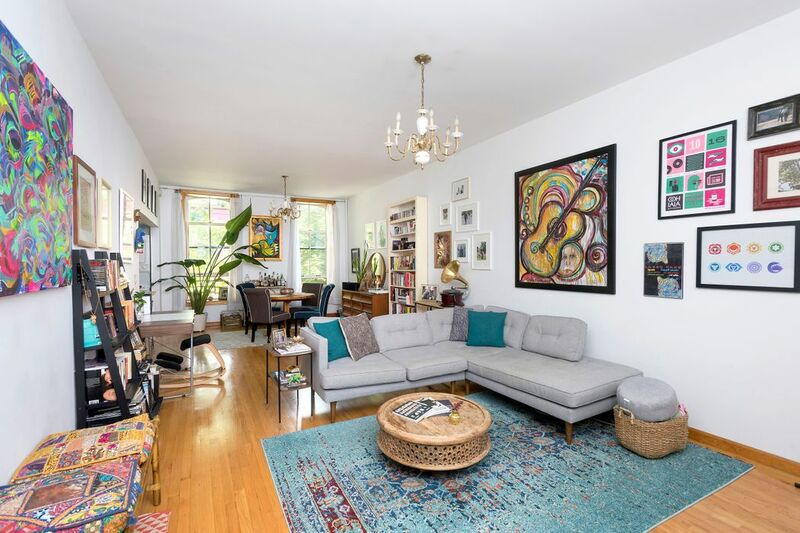 Located on a coveted block in the heart of Cobble Hill, this floor-through home is located in a beautiful brownstone on a quiet, tree-lined street. With hardwood flooring throughout, this 1-bedroom, 1-bath home boasts an open, loft-like layout. The kitchen includes a Bosch dishwasher, new oven/stovetop, new granite countertops, full-sized appliances, and an in-unit washer/dryer. The living area boasts high ceilings, two large windows, and more than enough space for a kitchen table, dining room table, living room furniture, and more. The bedroom comfortably fits a queen-sized bed and dresser and includes a closet and large, nearly floor-to-ceiling windows which flood the space in natural light. 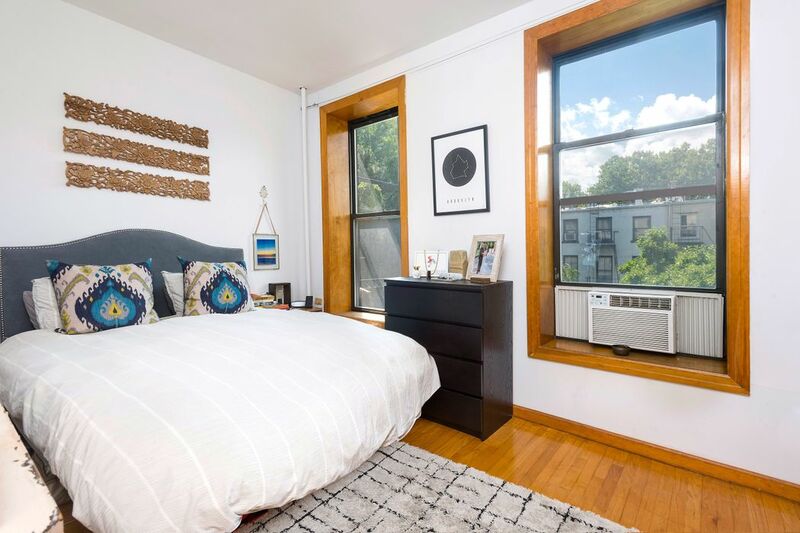 The full-sized bath offers a soaking tub and a beautiful stained glass window.Located in prime, coveted Cobble Hill, 468 Henry Street is located in close proximity to the Smith Street shops and restaurants, F train at Carroll Street, and all that Cobble Hill has to offer.